We are delighted to announce that we have won a special award for our teaching of science. The Primary Science Quality Mark GILT Award recognises exceptional standards of teaching and learning. A highly successful, unique award programme, The Primary Science Quality Mark develops and celebrates the profile of science in primary schools. This is the second time St Anne’s have gained the Primary Science Quality Mark, earning it last time in 2013. The accolade recognises the school’s development of pupils’ skills in scientific enquiry, such as predicting, planning and carrying out fair tests, observing and drawing conclusions. These are skills that pupils can apply in future to all aspects of scientific learning. As part of their Science studies, St Anne’s hosted a STEM (Science, Technology, Engineering & Maths) week, during which parents joined children to participate in activities. Students learning was enhanced through educational visits to Think Tank in Birmingham and older students took part in a ‘Rockets Away Day’ where they designed rockets to launch on the school field, before analysing their initial designs and then improving them to make them more aerodynamic. Mrs Hannett, Headteacher said, “At St Anne’s we recognise the importance of scientific skills and in engaging children in their learning. Pupils learn about a variety of topics including the growth of plants and animals. All of our children are involved in practical science observations – such as planting seeds and observing stages of growth, our youngest pupils watched chicks hatch, caterpillars change into butterflies and tadpoles grow into frogs. Pupils also study people topics such as famous scientists. 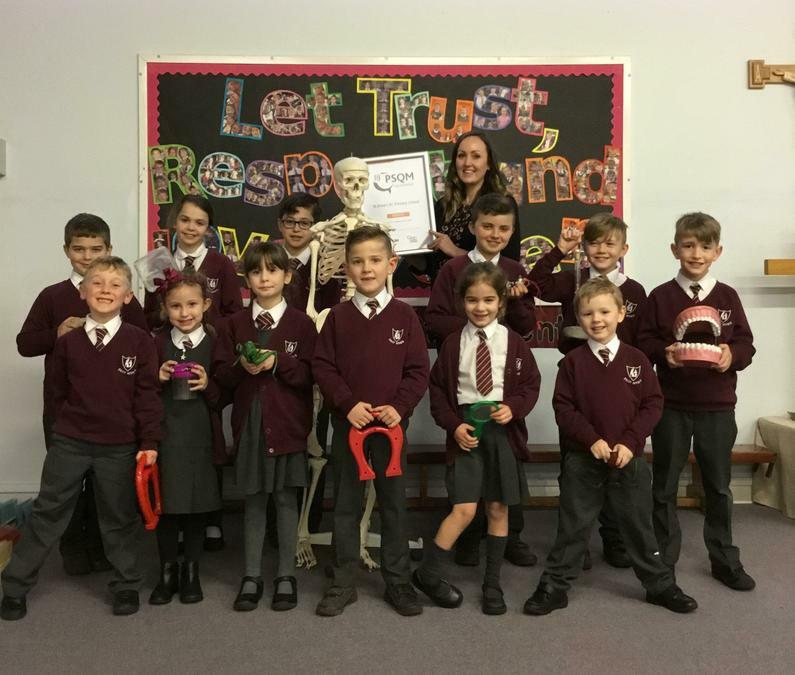 “I would like to thank Mrs Silvester, Science Leader at St Anne’s for all her hard work gathering a huge amount of evidence for this award, but also for making our students such engaged and enthusiastic learners. “she continued.